We can help you buy or lease! "Erick Monzo and his team are fantastic! They are professional, dedicated and very caring people who really understand the real estate business. We were comfortable and trusted Erick in selling our home and helping us to buy our next home. He advised us during each step, from the initial phase of getting our house ready to list, throughout the sales process, and through closing. He really cares about his clients and it shows. He went above and beyond what we expected a realtor to do, making and returning phone calls for us, assisting us with other professionals in this process, etc. We will definitely recommend him to anyone needing a realtor." "Erick was quite responsive to all my requests for information and service. All aspects of the sale were handled smoothly and professionally. The property was in need of updates and he swiftly located a contractor, a good bid and got a swift timeline so that the property could get back on the market as soon as possible. He helped secure a qualified buyer and the closing went through without a hitch. I highly recommend Erick and the Monzo Group!" "This is our third time looking for a home and Candace is our 3rd Realtor. She is without a doubt the most thoughtful, enthusiastic and determined realtor out there! Too much awesomeness to list but a few: Will look into anything you need. Never makes you feel ignored or unimportant. Sets up appointments as fast as possible. Looks out for your best interest and always considers your needs and wants in a home. A+++"
"Working with David was the easiest transaction I have ever been involved in. He is quick to respond, and goes above and beyond his duties to ensure an excellent outcome. David truly made all the difference in my transaction, Thank you David!" "The Monzo Group is wonderful. The staff is hardworking and very professional. I couldn't have asked for a better group to help us find our home. Erick Monzo has helped us purchase our first and second home. 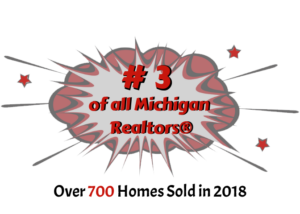 I would highly recommend them to anyone looking to buy or sell their home." "Dave was helpful every step of the way. He made the experience of selling our home stress-free and easy. I would recommend him to anyone interested in buying or selling a home. He knows his stuff and really works with you to get you the best deal. 10/10." "Julieta is skilled, knowledgeable, and very diligent. Showed me numerous homes until we found the one. Went above and beyond finding me a safe place after helping me leave an abusive situation. A true gem." "Tim was amazing throughout the entire process. Very flexible, punctual and professional. He takes time to thoroughly explain anything you may ask. I have and will continue to recommend him!" "We couldn’t have done it without Aaron- from start to finish he was SO helpful through both selling our home and purchasing our new home. If I could give a million stars I would!!" "Carol was honest and patience with me while looking for a home. She pointed out things that were important to me that I would have missed if it wasn't for her. I would recommend her to my friends and family." "Sarah was very attentive. She listened to my wants and needs. I love her bubbly positive attitude. She was a pleasure to deal with. I would recommend Sarah hands down. She is the best!"